Saving for the future may be a low priority goal, given the bills, student loans, debt and everyday cost of living that many individuals and families struggle with daily. Investing may seem overwhelming and a distrust in the stock market is understandable. But what many financial advisors wish people knew is that the earlier you begin saving for retirement, the better. You can start small now and increase the amount over time, but the point is that something is being put away instead of nothing. And if those savings are put in the right place, it can grow on its own. The best part is that there are thousands of resources and blogs available to help, with a simple google search. * Here are some simple strategies to begin saving for your future now. 1. Create an automatic debit from your paycheck to roll into a savings account. Paying your bills is of course a primary concern. Many wonder how they’ll be able to squeeze out an additional $50 to $100 out of their paycheck every month to save. It doesn’t necessarily have to be that amount. 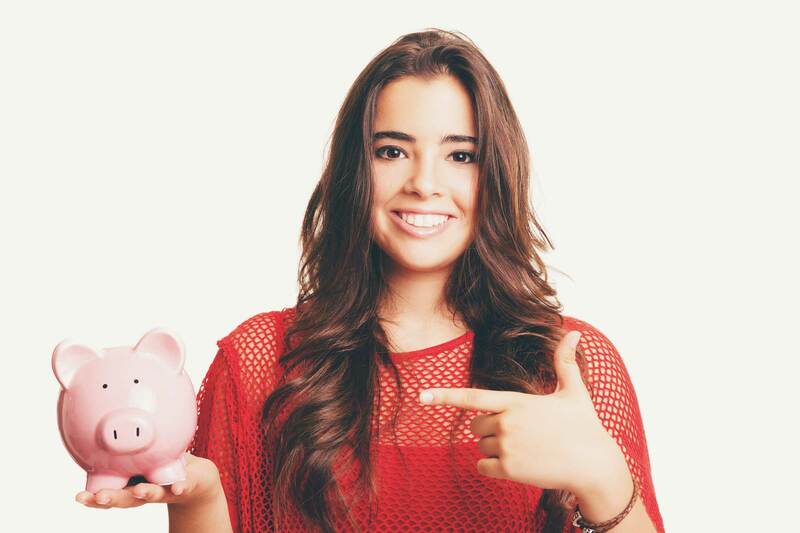 If you need help determining the amount to save, some people use this budget ratio: 50/20/30. 50% of income goes to bills and living expenses, 20% goes to savings, and 30% goes to wants. However, you may adjust this ratio to better suit your situation. When you have your full paycheck to spend nine times out of ten, you’ll spend nearly everything. But when you see yourself having less money after the auto debit, you can accommodate the change and work with your new budget. Advisors agree that by automatically depositing savings money before you even see it, you won’t even notice it’s gone. When you have your full paycheck to spend nine times out of ten, you’ll spend nearly everything, but when you see yourself having less money after the auto debit, you can accommodate the change and work with your new budget. 2. Live within your means and save where you can. From Snapchat to Instagram to Facebook, it is easy to fall into the trap of comparison or “fear of missing out” a.k.a “F.O.M.O”. You think you need or want what others have. However, this mentality of keeping up with the Joneses- or the Kardashians- can put you on the fast track to years of debt if you are not careful. It may be hard to adjust your lifestyle at first. With some self-discipline and support from the right people, you may actually find some relief that you don’t have to spend your hard-earned paycheck on the latest sneaker drop or music festival. It’s ok to stay at home sometimes and re-focus on what and with whom you truly want to spend your money and time on. 3. When you are ready to invest, be sure to work with an agent or company that makes you feel comfortable. You will essentially be sharing your life goals with them, so it doesn’t hurt to do the research in making sure they are reputable and a good fit for you. Ask lots of questions, that is what they are there for. If they can’t provide an answer, it’s ok to seek out more than one source for advising. No matter where you are in your life or how much savings you have, small changes can result in tremendous savings over time, and the best time to start saving is right now. *A word of caution, always check your sources and never give away sensitive personal or financial information.